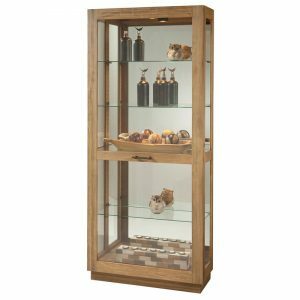 Two Way Sliding Door Curio.Some household pieces are as lovely as they are practical, and the beauty they can add to a home is yours for the arranging. 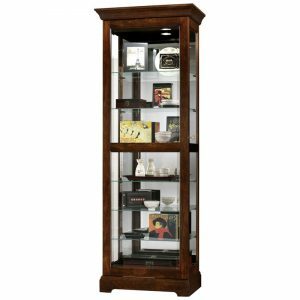 We designed this mirror curio for people who enjoy a modern, sophisticated display. Out tall curio is solidly built in select hard wood solids and veneers and a deep Chocolate Cherry finish that gives a fresh and bright appearance. 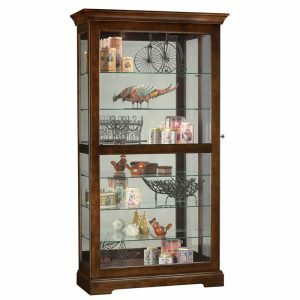 This curio has a two-way felt-lined sliding door with lock. 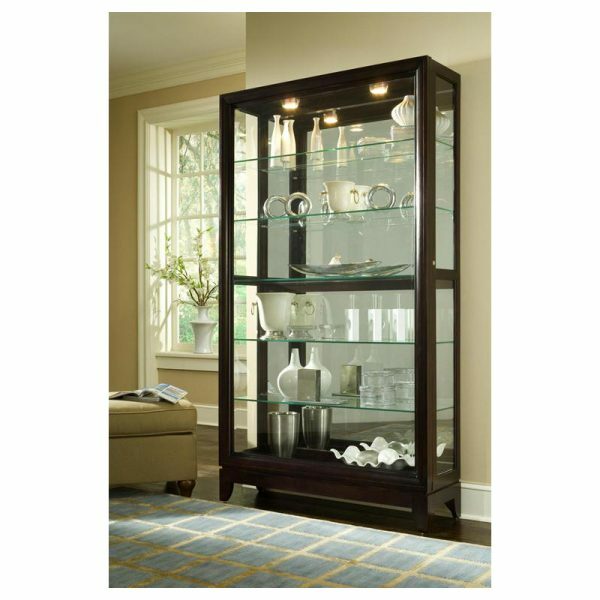 It includes beveled glass on the front, a mirrored back, halogen lighting, adjustable glass shelves, and adjustable glides for leveling.